Saw this and thought it provided a clear explanation of why net neutrality is important. For the record, Costa Michailidis is running for Congress in 2018, as an independent candidate for the US House of Representative in New York district 3 against Democratic Congressman Thomas R. “Tom” Suozzi. Other than that, I know nothing about Mr. Michailidis except that I agree with him on this issue. I’ve been feeling weakness and pain in my wrists these days, especially while playing tennis. 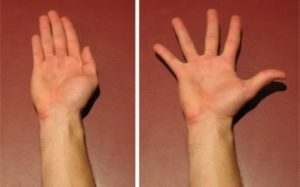 I found a couple of web sites that offer wrist strengthening exercises. 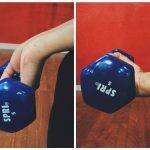 Seated Wrist Straight Curls – This is to develop your flexor muscles. 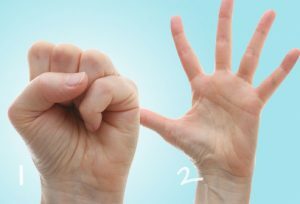 In a seated position, with your forearms on your thighs and palms facing upward, with a 5-, 10-, or even 20lb weight in hand, flex your wrist upward. Keep the forearms well placed against your thighs for greater stability and isolation of the wrist and forearm musculature. Be careful to place the wrist three to four inches away from the knee to allow the full range of motion. Take caution not to overextend. Do 3 sets of 20 repetitions. Seated Reverse Wrist Curls – This is to develop your extensor muscles and is also done in a seated position with your forearms on your thigh, palms facing downward, with the wrist three to four inches away from the knees. Grasp the weight and extend the wrist fully. Do this for 3 sets of 20 and be sure to not lift the elbows from the thighs when extending the wrists. Keep the palms down. 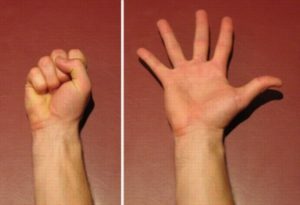 In order to protect the wrist, it is essential that we place more weight on the mounds of our thumb, index, and middle finger and less so on the ring and pinky side. Most often, due to weak upper arm and shoulder strength, our weight automatically falls on the outside of our hands. This weight on the heel of the palm will lift the index finger off the floor placing a great degree of tension on the ulna, which isn’t designed to bear as much of a load. 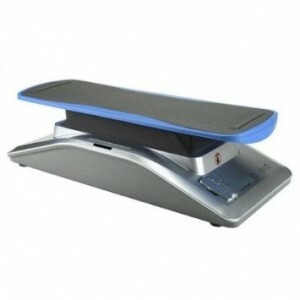 To protect this sensitive joint, more weight should be placed on the heel of the hand while at the same time, using the fingers pads to distribute the weight evenly. 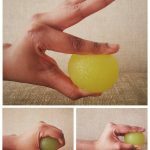 Take a stress ball or tennis ball and grip it in your palm as firmly as possible with your fingers. Hold for 5 seconds and repeat about 10 times. Switch hands. There are a few variations you could do with a ball squeeze. Take a dry towel and twist the towel in opposite direction, as if to squeeze the water out of it. Hold the contraction at the end for a few seconds. Be mindful of overstretching as this can aggravate your already injured wrists. Switch sides and repeat 8-10 times. Primary Election Day in New York! We went for a short walk today on a really lovely spring morning before heading off to the polls. With the Fitbit app tracking our siblings’ activities, there is an incentive to sneak in a few active minutes where ever we can. I thought some simple advice about taking care of our knees would be nice. Here is an article I found by Paul R. on the Healthversations site. Scientists and doctors agree that there are several key areas to focus on for better joints no matter what your age, and these four can be done all by yourself from the comforts of home. Take a load off. What you may not know and will be shocked to find out is that every extra pound of body weight you carry is equivalent to around 4 pounds of excess pressure on your knees and other joints. That means if you’re just 10 pounds overweight, that’s an extra 40 pounds of unnecessary pressure placed on your joints. Take a load off with regular diet and exercise. Use it or lose it. Although you may limit movement to keep your stiffness and discomfort from flaring up, long periods of inactivity can weaken muscles, which means your joints are doing all the work when you do move. Research suggests that low-impact aerobic exercise can actually help reduce joint tenderness. Don’t forget to stretch! AFTA Certified Personal Trainer, Lisa Amburgey, believes a few minutes of stretching every day will help prevent stiffness or injuries. She recommends the knee extension, performed while sitting on a chair with your back supported and the balls of your feet and toes touching the ground. Slowly extend your right leg in front of you until it is parallel to the floor and your leg is straight out. 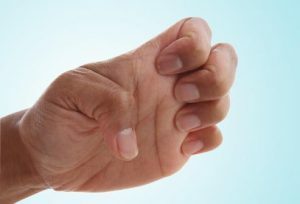 Flex your foot, hold about 3 seconds, and then slowly return it to the floor. Repeat on your left leg, then alternate legs for 8-12 sets. Supplement for success. What about that sore, aching feeling in your knees and other hot spots that you can’t seem to extinguish no matter what you try? A high-quality joint formula like Instaflex can deliver powerful ingredients and benefits you won’t get elsewhere. Step 1: Attach a resistance band to each ankle. Step 2: Stand with your feet a little more than shoulder-width apart. You may need to shorten the band in order to get the right resistance. 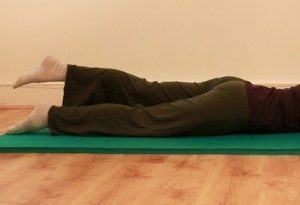 How to Do It: Lie on your right side and lift your left leg to 45 degrees in a controlled manner, then lower it back down to the starting position. Make sure your pelvis remains in a neutral position. A more advanced version includes a loop of rubber tubing around your ankles for added resistance. Perform 20-30 reps. Hold your leg briefly in the air, then lower. Now do the same with the other leg. The knee is getting stronger and the only sharp pains occurred during the walking side squats. I think it was because my feet were not always in the correct position. The therapist said the mild burning discomfort in my knee while walking on the beach was normal and caused by the uneven surface. As long as I don’t overdo it, the knee should improve fairly quickly. Yes! Hopefully, I can get to a point where I can do some of the resistance band exercises I had previously tried. I just received a Fitbit Blaze as a present from my husband! It’s great fun so far although I don’t rack up nearly as many steps as he does. I decided that i didn’t need the GPS capability built into the watch. Someday, I will read through the instructions and figure out how to pair it to the GPS in my phone. There are only rare occasions when I venture out without the phone anyway. 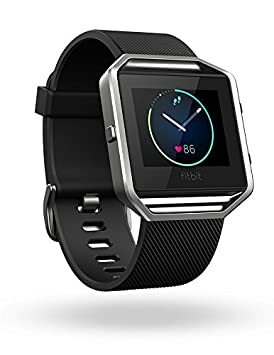 It’s nice that the Fitbit Blaze does all of that without having to remember to manually set something up or change watches or put on a chest strap. Also nice is the ability to link the calorie and activity tracking from the SparkPeople Mobile App to the Fitbit App. So I have a constant and visual reminder of how many calories I’ve used and how many I have taken in. Cool right? Also having the connection with the Sparkpeople site means that I don’t have to re-enter any of the activity information I’ve been tracking all along. I think the little badges that you earn for walking are cheesy but cute. It’s fun to add friends to the Fitbit app so that you have a little community of Type A personalities cheering each other on. 🙂 It’s a terrific incentive. Anyway, this is my first day and the shiny newness is still with me. I’ve been dealing with a torn meniscus since late November. My poor knee got a tad banged up: I overextended it when my side kick missed the Century B.O.B. (body opponent bag) ; continued to play tennis; and, finally, twisted it on a Christmas hike. My MRI showed it was a clean break with a Bakers cyst; some arthritis and a sprain. I basically didn’t do any exercise for a couple of months and babied myself. 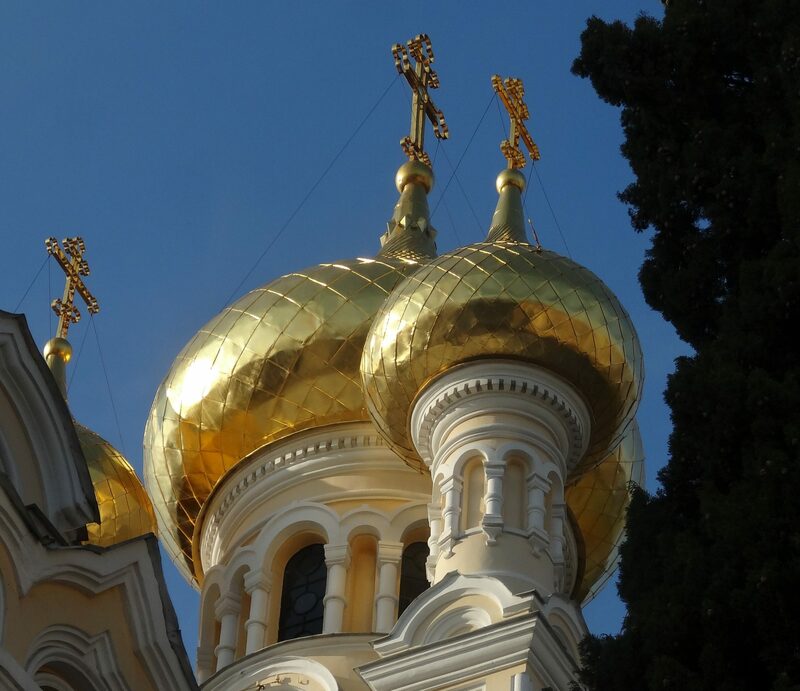 We went on a cruise to the Western Caribbean and visited Mexico, Honduras and Belize – very nice. After returning, I decided against any immediate surgery and opted for physical therapy and a knee brace with struts. The brace is only necessary when playing tennis or practicing on B.O.B. I am only punching at this point as kicking seems to just make my knee burn, brace or not. I’ve been using an iPhone app called Fight Trainer. It costs $4.99 and it is not perfect but it seems better than some of the others. I can use it with my wireless headphones and listen to my music. You can also speed up or slow down the time between instructions. It keeps you honest when the sun is beating down on you and it seems like you’ve been working out forever. Sadly, I have some minor surgery coming up to repair a tendon on my right hand so I doubt I will be punching for a while. On the up side, we will be visiting Ireland in May so i can keep my mind off my troubles.